Launch reception in House of Commons hears that multi-org campaign hopes to double the number of cyclists with +1 pledges. Julian Huppert and Ian Austin, the two MP co-chairs of the All Party Parliamentary Cycling Group, today hosted a launch reception for the Summer of Cycling promotional campaign. Therese Villiers, minister for rail, and many other MPs were also in attendance. There’s a picture gallery of cycling’s great and good at the event on Flickr. Late last year 23 bicycle organisations joined forces to promote cycling under a unified banner in 2012. Businesses such as Halfords, Brompton and others also pledged support. The Summer of Cycling is open to any and all organisations, businesses, clubs, magazines and individuals. At the launch event in the Strangers’ Dining Room at the House of Commons, the Bicycle Association’s executive director said it’s likely that NHS employees will be encouraged to take part in the Summer of Cycling’s pledge campaign. 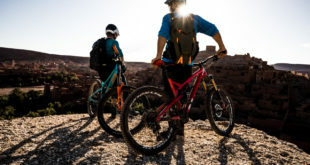 Nick Wilkinson, the chief executive of Evans Cycles, said the store group would also take part in the promotion, sending out materials to its Cycle to Work customers and adopting the +1 pledge campaign for its Ride It cycle rides. 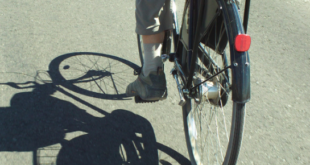 The Summer of Cycling campaign is run for the All Party Parliamentary Cycling Group and has been seed-funded by £20,000 provided by the Department for Transport. Some of this cash will go on the production of a Facebook widget, and other digital communications. The key concept for the Summer of Cycling is +1: those taking part in events are encouraged to bring one other person along. This proselytising pledge campaign aims to get new people to try cycling to work for the first time, or riding the wooden banks of a velodrome for the first time, or taking part in a long-distance challenge ride for the first time. The Facebook widget will help cyclists link-up with non-cycling friends, family and associates. The widget will launch on April 10th. Until then the campaign’s Facebook page can be ‘liked’. Hi-res logos can be downloaded from the campaign’s holding website and the Summer of Cycling, naturally, also has a Twitter account. Last year’s initial meeting between the twenty three cycling organisations was characterised by an unusual degree of consensus. Racing organisations are able to promote Summer of Cycling just as easily as local cycle campaign groups. And, unlike previous attempts at joint promotions, all the major orgs were present at the first meeting. The first meeting was held at the back-end of November in an upstairs committee room in the House of Commons. Present were executives from British Cycling, CTC, Sustrans, London Cycling Campaign, Cycling Scotland, the Bicycle Association, Bike Week, Transport for London, the Association of Cycle Traders, Halfords, the Tour of Britain, Cyclenation, the Cycle to Work Alliance and other organisations. Chairing the meeting was Julian Huppert, the workaholic LibDem MP for Cambridge. He’s the co-chair of the All Party Parliamentary Cycling Group, a cross-party bunch of bicycling MPs and peers. At today’s parliamentary launch APPCG co-chair Ian Austin MP (seen at the lecturn above) said: "The Summer of Cycling brings together charities, NGOs, industry manufacturers, distributors and retailers of bikes as well as major UK cycling event organisers – everyone with an interest in cycling – to introduce more new people to cycling than ever before. "The Summer of Cycling proposition is pretty simple, when it comes down to it. It’s just to introduce just one friend, neighbour, colleague or family member to cycling this summer. If we all do that, we’ll have doubled the number of people cycling." Norman Baker, minister for cycling, walking and local transport, wasn’t able to be at the meeting but he provided a video greeting. 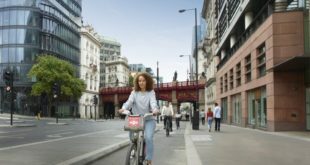 He said cycling was in the spotlight at the moment because of The Times’ #cyclesafe campaign but he hoped that The Times would now move on to promote the "joys of cycling." He said such a message was a key part of the Summer of Cycling. The video above, shown at the Summer of Cycling launch reception, also features footage from Sustrans, Bike Week, Cycling Scotland, and the Tour of Britain. Interviewed on the video are Baroness Sue Campbell, chair of UK Sport, and two members of the Newcastle Cycling Campaign. The first event in the Summer of Cycling has already started. 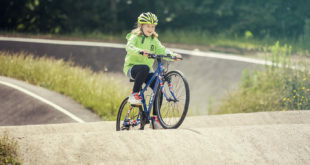 Sustrans’ Big Pedal – supported by Bike Hub, the industry’s levy fund – aims to get children in 1000 schools cycling for one million bike-to-school miles. The Summer of Cycling runs from March through to October 2012 and is likely to be an annual campaign.